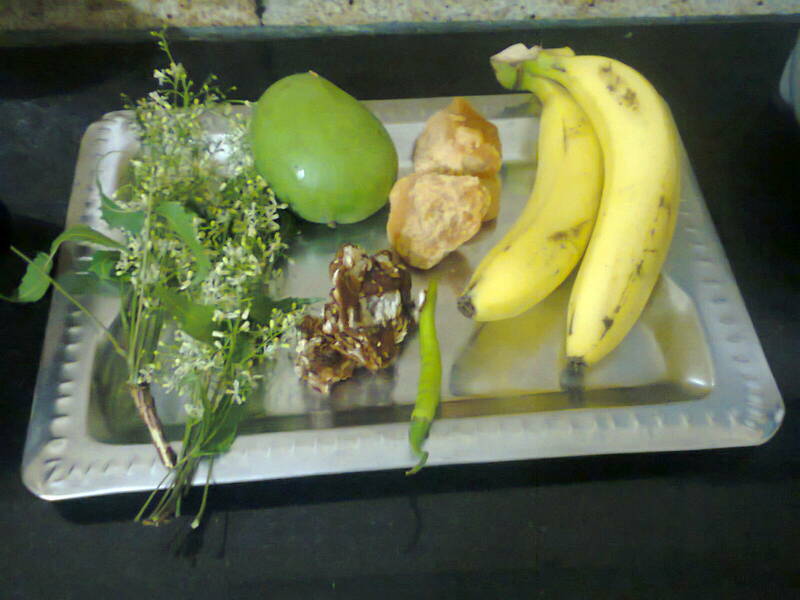 Ugadi is the New Year's Day for most of the southern Indians. People of South India celebrate their new year according to the sixty-years-based Calendar with a particular name allotted to each of the sixty years. After completion of the sixty years, the cycle again re-starts in the same sequence. So, on the first day of each year, they celebrate the new year's day by exchanging greetings and enjoying special dishes and going on outings with friends/ relatives. Literally, Ugadi or Yugadi means the start of an age or generation. Generally, the calendar's cycle of sixty years is one age. Yug resembles this cycle. Adi means starting point. So, the first day of each cycle of 60 years can be considered as Yugadi. But, Each year and each cycle of 60 years are considered to be bringing some changes in our lives for betterment and so each starting day of the year, as well as the cycle, is celebrated with new hopes and new determinations as Ugadi. Normally, this festival falls in the second half of March, (or sometimes in the first week of April) on the first day of the Telugu Calendar, ie. on Chaitra suddha Padyami. The actual English Dates may change each year. There are twelve months in Telugu Calendar also like the English Calendar. The Telugu Calendar starts with Chaitra Masam (the month of Chaitra). Each month ends with the whole New Moon day and starts with the Day-After the New Moon Day. On this first day of the first month of the Telugu calendar of each year, this Ugadi festival is celebrated. 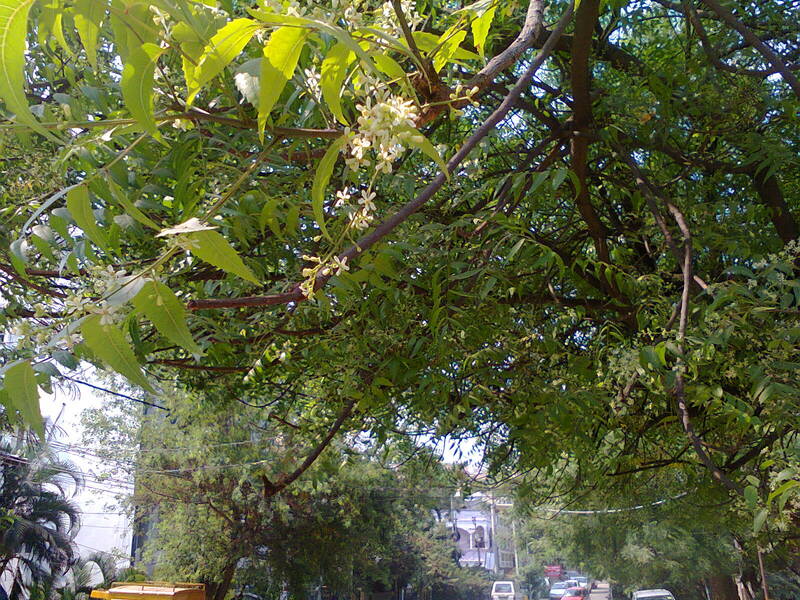 It is the period of the Spring Season in India with greenery spread all over the environment making it very beautiful to enjoy outings and picnics. On this Ugadi day, people get up early in the morning and take a full bath; most people applying some oil to their heads and all over the body. They normally take bath with hot water and shampoo and soaps nowadays. Traditional people give their children a very healthy bath by applying the shikakai powder to their heads and applying black grams or green grams flour to their entire body. It is believed that this kind of bath keeps them healthy and strong. After taking the bath, they wear new clothes or best available clean clothes and prepare the Ugadi Pachadi, a kind of chutney with several tastes and offer it to God before eating it. Then they go to temples and take the blessings of God. This Ugadi Festival recipe is prepared by mixing the pieces of raw unripe mango, ripe banana pieces, neem flowers/ buds, jaggery, green chili pieces and a little bit of salt- all mixed in the liquid paste of tamarind. All ingredients can be seen in the above image. The tamarind is soaked in a cup of water and the paste-like juice is extracted for mixing all ingredients. It is a mixture of all the tastes representing the varying moods and feelings of life. It is a kind of importing the lesson to the newer generations that life is a mixture of varying tastes which they should face with equal patience to live happily in this world. So, people eat this dish first before eating anything else on this day. It is a belief that life will be well-balanced throughout the year if this Ugadi Pachadi is consumed at first on this day. People enjoy throughout this day happily with their family and friends by exchanging new year greetings and sweets. Newly married sons and daughters will be especially spending this festival day with their parents along with their spouses and children. The Sons-in-law will be the most welcome persons on this festival with special treats and gifts to them by their in-laws. They enjoy this festival with free liberty and great respect from their in-laws. Temples get overcrowded on this day with devotees thronging continuously to get the blessings of God and to hear to the "Panchanga SravaNam" by the temple purohit. It is a kind of studying and knowing about the happenings of good or bad events that may occur during that year and about the rashiphal and effects of stars on human life during that particular year. It is a customary practice of people on this day to read or listen to this almanac and predictions of good or bad results of the year. Many cultural events are also organized on this festival continuously for 3 days or 9 days according to practices. The 9-day celebrations culminate with Sri Rama Navami. Stage dramas and musical programs are held at many important temples and cultural centers in both urban and rural areas also. National level artists also give performances. People throng the venues with great enthusiasm and interest and whole evenings and nights are spent at these venues enjoying the fine melodies of life.